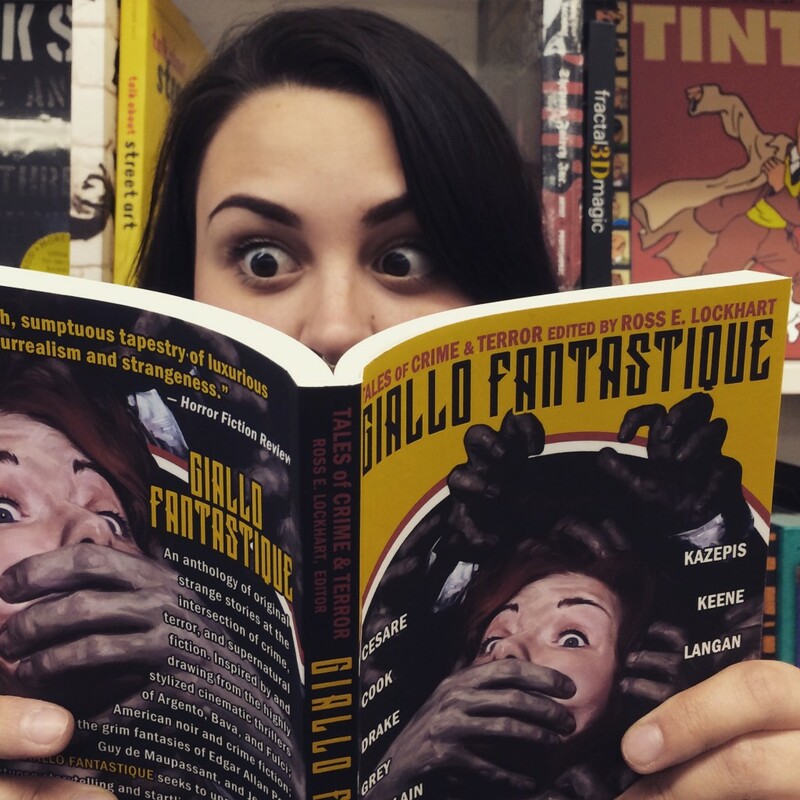 With stories by authors Adam Cesare, Orrin Grey, Nikki Guerlain, Brian Keene, John Langan, E. Catherine Tobler, and more, Giallo Fantastique will take you on a wild, cinematic ride. If you’re in the North Bay Area, I’ll be officially launching Giallo Fantastique at Copperfield’s Books in Petaluma this Wednesday, May 20, at 7 pm. I’ll be talking about Word Horde, the origins of the anthology, and reading a story or two. Come on by and say hello if you can. And if you RSVP, you can save 20% on the book the night of the event. Ask for Giallo Fantastique by name wherever better books are sold. And a big shout-out and a round of applause to our two Final Girls, Katie Wigglesworth and Ashleigh Rose Walker.